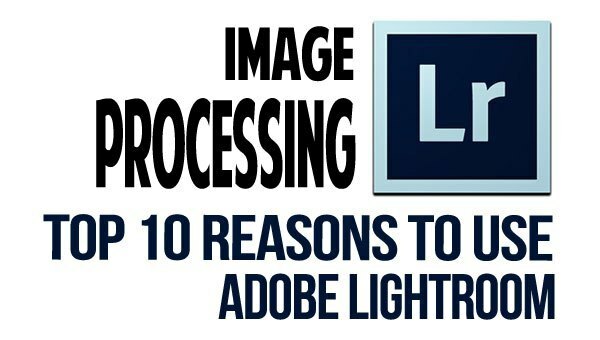 Home » Photography Tips » Digital Workflow » Top 10 Reasons Lightroom Rocks! When it comes to processing your images, there are several photo editors on the market. Some are free, others mid range and some are quite pricey. 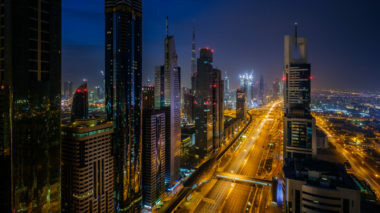 There are basic ones aimed at home users and people with point and shoot cameras, while others are more involved, complicated and more for those that want a higher quality result and more control over the final look of their images. 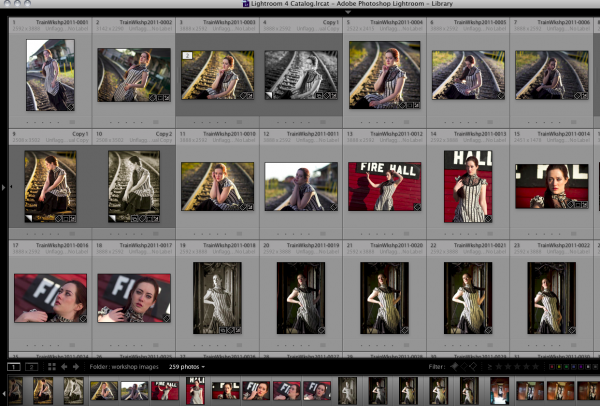 My main software of choice is Lightroom! In this article I'm going to go over the Top Ten reasons why it's my top pick and what I recommend, even for beginners. Without further ado, let's get right to it! What options are available for image processing software? So how do you choose? That's why I wrote this article to help you decide. If you don't end up choosing Lightroom I won't be offended, I just want to give you what you need to check out the options and make an informed decision. 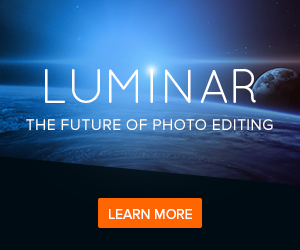 Read: Lightroom Alternative – Is Luminar the Answer? 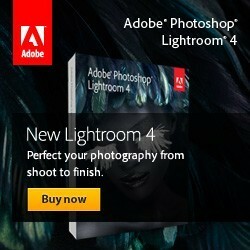 Lightroom was created for photographers! Photoshop was created for the graphics industry and photographers adapted it as we moved more and more into the digital realm. But, Lightroom was designed specifically FOR photographers from the ground up and people like Scott Kelby and the guys over at NAPP regular test new products and give Adobe feedback as to what photographers need it to do in the real world and build that stuff in for us. I still use Photoshop, but less and less and only for things that require extensive masking, layers or compositing of multiple images together. About 90% of what I do with my image is done using Lightroom. It is easy to use and has a user friendly interface. Many photographers consider Photoshop Creative Suite (CS) the must have software for image processing, but it can be overwhelming and confusing, especially if you are just starting out using an image editor. Photoshop Elements is like CS's little brother, a scaled down version that supposed to be simplified. But many of my students and clients find that even Elements is a bit hard to get a grasp on and stumble around using it. If you shoot RAW files how they are handled in Photoshop is that you have to “open” it, process it, and then save it. Inside Lightroom (LR) you just go right into processing and it's automatically saved for you. The workflow for JPG and RAW is exactly the same inside LR. That's huge if you are considering moving over to RAW but find it a bit scary. Learn LR and you only need to learn one method for both file types. Tools for labeling your images and making it easy to find your faves quickly. In LR you can use a “flag”, a 1-5 star rating system and color coding to label your images. You can then sort and filter by any one of those labels, or a combination of a couple of them. You can also create collections, which are virtual groups of images, where an image can reside in more than one collection. 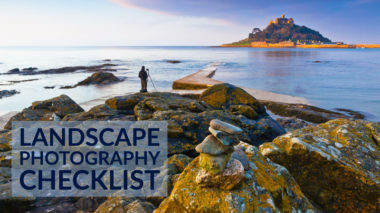 This is useful for things like: sorting a photography session into your favorites and your clients'; creating image sets like “birds”, “ocean”, “cityscapes”, etc. ; which images are to be used for for different things like “to make a print”, “for website”, “in a photobook”. The image below shows an example of an unsorted gallery of images inside LR and one with flags and labels to sort more quickly. LR gallery of images unflagged and unsorted. Notice you can see all the images numbered in order, with no gaps. Showing 259 of 259 images in the entire folder. LR gallery sorted and flagged. Notice you can see flags, star ratings, and color coded images. It is better for cataloging and archiving your images. Lightroom has a powerful feature which allows you to see all your images, even if they are currently offline or on a retired or archived hard drive. 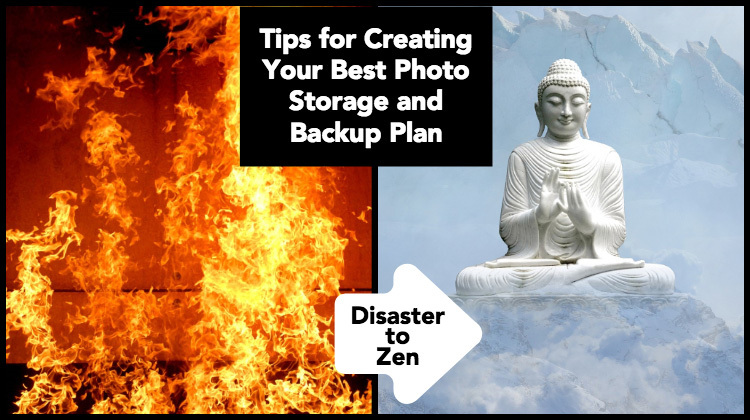 What that means is that you can quickly and easily find your images even after they've been filed away, or reside on a hard drive that's full and has been put in the shelf. With a couple clicks you can easily locate where the image file is located, plug that hard drive in and be able to access your file again. Some people use a complex cataloguing system or other pieces of software such as ACDSee, or Photo Mechanic, but I prefer to keep my life simpler and use less tools and have it all on one place. The photo below shows a screen capture of some images that are on an older hard drive, filed away and archived. Notice the “?”s which means only that LR currently can't see the originals. But by making right click on any image in the gallery, and choosing “Go to folder in Library” it will show you what device they are on and I can simply plug it in and access them quickly and easily. Notice you can see ? 's on the images. On the left column is a path to where they live. See the hard drive in question is greyed out, which means it's currently not attached to the computer. Plug it in and away you go. Powerful developing tools and ease of processing raw files. I already mentioned this but it's worth bringing up again because it's such a great feature of LR. 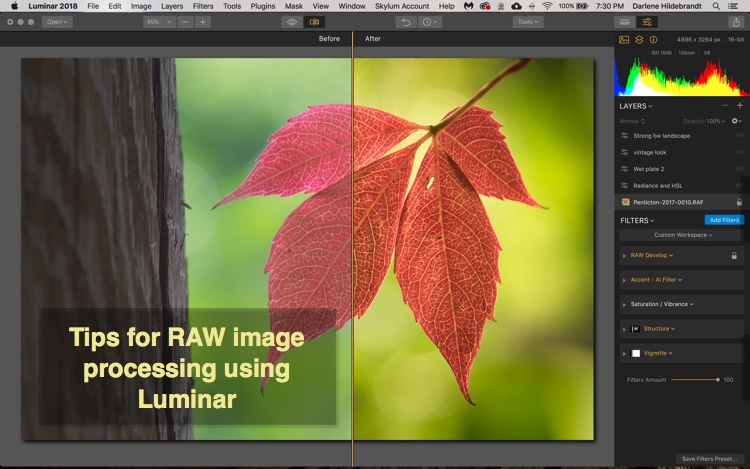 The workflow for processing a JPG and a RAW file is exactly the same! If you've already learned LR using JPGs it'll be a breeze to start shooting RAW for you. If you currently use Photoshop CS or Elements for RAW processing, you can easily use LR as it it has the same RAW processing engine, the same sliders and adjustments.For newcomers to RAW shooting, inside Lightroom's Develop module you can do global adjustments (applies to the whole image) such as: exposure adjustment, white balance correction, curves, b/w conversion, clarity, contrast, blacks, sharpness, noise reduction, vignetting (edge darkening or lightening), and remove chromatic aberration. You can also do many of the same adjustments locally (to only part of the image) using the adjustment brush to paint the effect wherever you want. You can see a quick before and after and even make “virtual copies” (copy thumbnails without making a copy of your actual file) of your images to process each in a different style. The latest version, LR4.1 can do so much with an image, you can “save” images that may otherwise end up in the reject pile. Here's just one example of a before and after, just a taste of what's possible for image processing in LR4. for seamless back and forth. 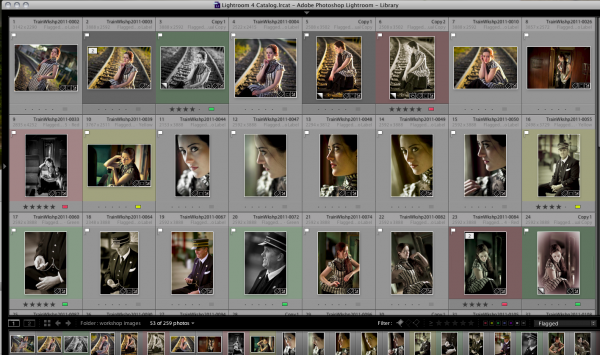 Yes I use Lightroom for most of my processing needs, with a few exceptions. I do a lot of HDR photography and use the Photomatix for doing the tone mapping portion of that process. LR allows me to grab my images, take them over to Photomatix, do my thing there, and then automatically brings the resulting image back into LR and makes a thumbnail for it. So it allows me to keep all my images in one place once again. It works the same way for going over to Photoshop for things like: using layers, masking, removing distracting objects in the background, performing a head swap on a portrait – all things that LR cannot do. It also allows me to open multiple images as layers inside PS, and it stacks them for me, or as a Smart Object. It also works with other plug-ins such as: Topaz, On One, Nik filters, and AlienSkin to name just a few. LR makes it easy to upload photos to social media and online sites. Save the settings as a “preset” so you can use the same settings over and over again without having to redo it each time. Lightroom has the power of PRESETS! Photoshop users may be familiar with “actions” which is a prerecorded set of steps that you can apply to your image with one click. LR uses something slightly different, called “presets” which are basically saved settings for all your sliders and adjustments that you can also apply with one click. There are literally thousands of FREE Lightroom presets available – most of which apply in the develop module (changing the look of your image). Do a quick Google search for “free Lightroom plugins” and see what I mean (remember to put in your LR version number in the search too, if you have 4.1 for example make sure to put “4” in your search). I did a search just now and got about 1.2 million results! What's even more powerful is that inside LR you can save presets for SO many areas other than the develop module, such as: import, export, print settings, slideshows, web settings, adjustment brushes, meta data like keywords and copyright, and much more. 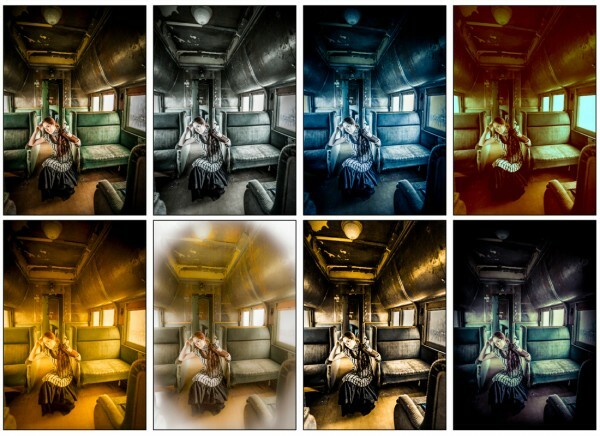 The example below uses the same image and 7 different presets. The first one is how I processed it and was happy with it, the other seven are all Develop Presets that I simply just clicked on once and voila! Example of how you can use Lightroom presets to get drastically different looks for your image with one click. New in LR4 you can make a Blurb book right inside Lightroom! AND they will give you 20% off your first book ordered that way. What is a Blurb book you might ask? It's a great way to actually do something with all your fabulous images. With the advent of digital photography I find that more and more of us are guilty of having all our images live only “virtually” on our computer or social media sites and we seem to have lost the art of actually printing them. Blurb.com is an on-demand printer of very high quality photo books, which means you can order just one, or many. You can share them with friends, sell them in their bookstore, and even make a version for your Smart Phone or iPad. They also have the option of using their software or designing your album online but using Lightroom is SOOOO much easier! You can go right from your raw files, to exporting and sending the book right too them all sized and formatted correctly for their printing specs. It's quite brilliant. In fact I just got one in the mail two days ago that I created from photos I took of my husband's elderly uncles on their farm. “The Uncles” is special because they are both in permanent care (and hospital) now so this book is the last record of their lives on the farm. You can see a full preview of “The Uncles” on the Blurb site. Please ignore the spelling errors, a perfect example of why you want to order just ONE book the first time around as a proof, (which is what I did)! I have grandiose plans to make one book for each trip we have taken, so being about 4 years behind on my processing leaves me a lot of work to do. Trust me, I am working on it! I've also created several other Blurb photo books including; when my niece was born, a special book called Visions of Peru, books for clients, and am currently working on recently completed a Day in the Life book of my nephew at age 3. Lightroom has great options for backing up and even reminds me to do it! LR works as a database and stores all the recipes you've cooked up with your image in a catalog. The jury is still out on whether to have one large catalog or break it into smaller ones, but whichever you choose it's easy to remember to back up the catalog because you can set up LR to remind you every time you exit the program. 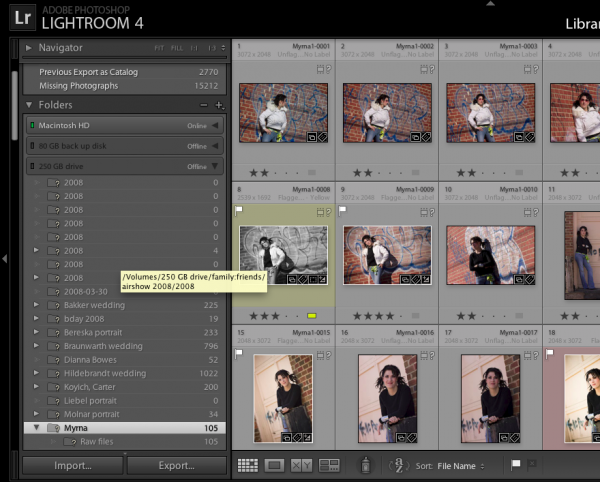 You can also choose to copy all your originals to a second hard drive at the time you import them into Lightroom. This is very handy in the instance of a hard drive crash or failure (don't kid yourself, it's not a case of IF your hard drive will fail it's WHEN!) Some very handy features built right into Lightroom for those of us that might be a bit slacker in this department (you know who you are, I used to be until I lost some files). BONUS reason: Lightroom keeps your image processing (develop module) history forever! If you're used to working in Photoshop or Elements when you work on a file the program tracks everything you do to that image in the History. You can go back and review an earlier version, revert to it, or undo. However . . . once you save and close the file, the next time you open it up (even layered PSD and TIF files) all that history is gone and you're back to the start. In LR, whatever you do to your file, or any Virtual Copies, is recorded and kept! You can close LR, come back tomorrow and your history is still there. This is huge when you're just learning to process your images or learning Lightroom itself. As your knowledge and experience increase you may have new tricks up your sleeve a few months from now and want to revisit a few images. You can start right where you left off and makes tweaks or go back to any place in the history and start there. Or reset the whole thing and start over. In Photoshop you don't have all those options, you can only start from the last point. shoot in JPG because it's easy to get from camera to share with friends, social media, email, etc. Why I find that ironic is this – because the RAW files carry so much more data and image information, it's easier to “fix” the images that are exposed incorrectly, or have a funny color tint (wrong white balance). So basically you can fix it if you screw up and that is very helpful if you are just beginning. If you are shooting JPG however, that file format has less image information and such corrections are not possible, or come at a consequence of image degradation in a bad way. 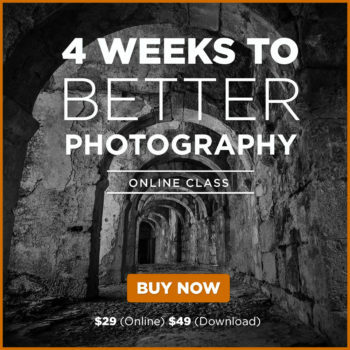 So you really need to get it just right, darn near perfect – right out of the camera. Do you see the irony or is it just me?! What next, how do I learn Lightroom? Once you've got Lightroom, there are many resources online and local courses (depending on where you live) available to learn how to use it. There are quite a few online tutorials covering all aspects of the program, some paid and some free. There are also a good number of Lightroom articles I've written you can use as a starting place! Sign up for my newsletter to receive updates on when this class is available and other upcoming events! Add your comments and tell me if you use Lightroom, do you like it, and why? If you disagree, tell me that too, I always want to hear what other people are doing that works for them. It's all about finding a system that works and using it.